I'm the bluest of them all. X-Men: Apocalypse is a catastrophic event for the mutant superhero franchise. The series reached an apex with 2014’s Days of Future Past, which successfully merged two casts from different eras and married long-running themes with historical context. Apocalypse is several tumbles down the other side of the mountain. Both the post-colon villain and his world-ending plan are a complete bore, each operating in a mechanical, familiar plot that’s sprinkled with B, C, D, E, and maybe even F stories that lack any weight. 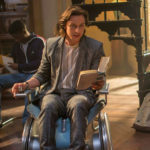 It’s 1983, ten years after the climatic events of Days of Future Past shone a light on the existence of mutants, and Charles Xavier (James McAvoy) is running his school for youngsters who carry the mutant gene. 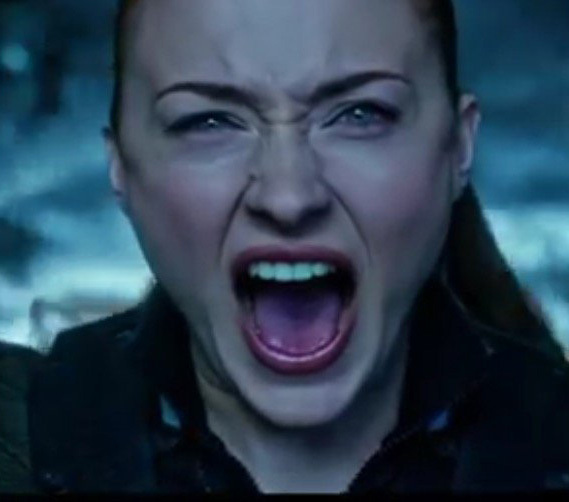 Students include the powerful telepath Jean Grey (Sophie Turner), who warms to new kid Scott Summers (Tye Sheridan). Halfway around the globe in Egypt, the world’s first and most powerful mutant, En Sabah Nur (Oscar Isaac), is awoken from an ancient tomb and quickly decides to destroy humanity. He rounds up The Four Horsemen (“maybe the Bible got it from him”) – Storm (Alexandra Shipp), Angel (Ben Hardy), Psylocke (Olivia Munn) and Magneto (Michael Fassbender), who also happen to be the first four mutants he comes into contact with. Apparently, the major requirement to bring about pestilence, war, famine, and death is proximity to Apocalypse. The jagged plotting of the first two acts is best described as a series of “meanwhiles.” Magneto’s motivations for joining forces with Apocalypse involve not only a generic recycled story, but one that’s previously been used for this character in this movie universe. Mystique (Jennifer Lawrence) has become a cult hero and traverses the globe to free persecuted mutants. The unearthing of En Sabah Nur/Apocalypse provides Xavier with an opportunity to rekindle a friendship and possibly more with CIA Agent MacTaggert (Rose Byrne). And so on. All of the pinballing between threads doesn’t allow us to become invested in any one thing that’s going on. Fassbender and Lawrence appear completely disinterested as well, and not just as a trait of their sullen characters. Isaac is buried in makeup and speaks in an ethereal monotone that robs the actor of his charisma. It could be any stunt guy under there for all we know. None of the young newbies has much to do either, their coming of age defined by an inevitable big battle. Apocalypse excises long-running X-Men themes, including xenophobia and civil rights, in favor of indistinguishable, hollow, CGI-laden conflict. These heroes and villains exist in a bubble, rarely interacting with the world at large, except when it’s a plot requirement to get certain mutants to certain locations. There are quick look-ins to a military war room, but they are only there to observe the apocalypse, not be a part of it. And what a ho-hum end of days it is. Apocalypse and Magneto start turning things to ash – inserts of bridges and the Sydney Opera House disintegrating do little to make the stakes palpable. The ragtag group of good guys bands together to neutralize the threat, director Bryan Singer giving each warrior a moment or two to highlight their mutant power. The coolest of these belongs to Quicksilver (Evan Peters), though his showcase scene is just a much longer redo of what he did in Days of Future Past. 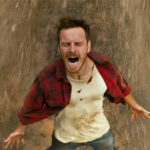 In trying to go epic, Apocalypse feels small as Singer and screenwriter Simon Kinberg struggle to find purpose in the carnage. One of the few neat touches is Apocalypse deciding to destroy the world after absorbing decades of TV news reports. Maybe we can relate a little. There’s an air of self-importance to the film that’s ironic given its “been there, done that” storytelling and complete lack of interesting hero or villain journey. 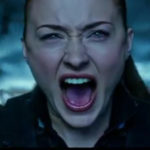 Occasional pops of levity also fail to connect, including a pointed barb at The Last Stand, the X-Men movie widely considered the worst of the franchise. Not so fast, Apocalypse.